A visit to the historic University Town of Oxford. Established in 12th Century. In nearby Woodstock is Blenheim Palace, birthplace of Sir Winston Churchill. Well worth a tour. Meander through the picturesque towns and villages. Countless lovely places to explore. Broadway, Painswick, Tetbury, Stow-on- the-Wold, the list is almost endless. Antique & tea-shops abound, all in beautiful settings. 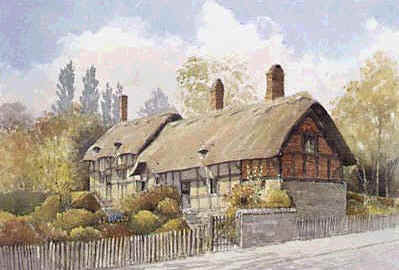 Visit the Shakespeare Birthplace Properties, including Anne Hathaway抯 Cottage (pictured), and don't miss the Shakespeare Experience Exhibition. You might like to catch a production at The Royal Shakespeare Theatre. We have information about current plays. Either spend the day in one location or combine elements of two or three. 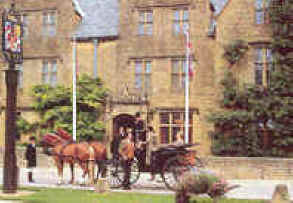 A Full Day chauffeur driven tour.